Everything you are the best. The young man who came to the house was efficient and proficient. fast, reliable and friendly! always a pleasure to work with! Fast friendly service. Techs go above and beyond. Service guy was very nice and did not take long. I did think it was expensive 352.00 to fix the toilet. 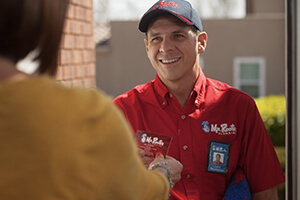 The staff at Mr. Rooter always answers our service calls promptly. The people who have come to our home are always courteous and professional!